Using social media to grow your website’s traffic can increase your bottom line. There are still a lot of doubters out there who believe that social media is merely a place for teenagers and social savvy college students to waste time. But top entrepreneurs pay attention to trends and statistics. They know that millions of potential clients are using social media platforms every day not just to check-in with friends and post selfies; people are shopping for goods, services, and information on social media in a major way. If you are a social media doubter who is curious about how using various platforms might impact your business, then this blog is for you. You probably have questions about how using social media can increase sales for your company. There are actually lots of social media marketing ideas to consider. Deciding which social media strategy to pursue will depend on your business and the resources you have available to dedicate to the effort. Keep reading to learn how using social media as a marketing tool can impact your business today and in the future. Sharing carefully crafted posts on social media is a fantastic way to draw readers over to your website. 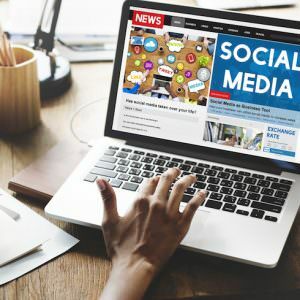 Adding something new to your website, whether it’s a new blog, a useful page, or an innovative product or program, is cause for a series of social media posts about it. Think of your Facebook, Twitter, and Instagram accounts as your personal billboards – free, electronic billboards that are targeted directly at people who want or need your products. Include an image. Posts with images get way more clicks than text-only posts. Add a compelling image along with your content to increase your click through rate. Include hashtags. This makes it easy for the social media platform to include your specific posts in their tracking of popular keywords. Then, when someone searches for posts that include your keyword/hashtag, you stand a better chance of attracting even more traffic to your website. Include a link to your website. Make sure the link takes readers directly to the page you want them to visit. Social media platforms occasionally change the algorithms that determine who sees your posts. These types of adjustments are particularly true for Facebook. In other words, not everyone who has liked your page or added you as a friend will see your next post. Purchasing some ads might be a good way to expand your readership on Facebook and increase the number of people who actually see your posts. Ads on Facebook are still pretty affordable, and you can set your ads up to target incredibly specific segments of users. You can also link your Instagram account to your Facebook business account to attract a larger audience. These days, using social media to boost your inbound marketing efforts is practically a must. With a little planning and effort, social media can drive your website’s traffic to levels you never imagined. To learn more about how you should be using social media to promote your content marketing programs, call the experts at PersistSEO at 770.580.3736.